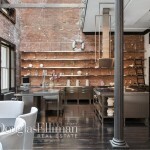 144 Duane Street in Tribeca has an interesting history behind it. 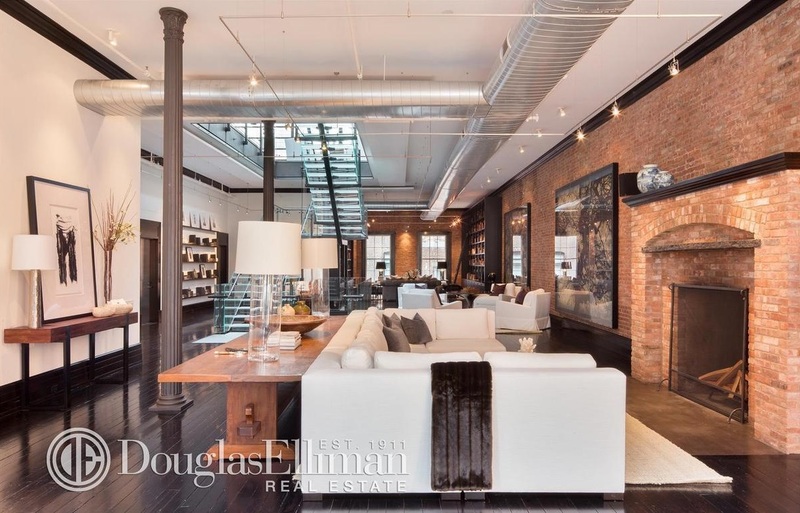 The 150-year-old limestone building was originally used as a shoe factory and was later transformed into an insane single-family mansion. 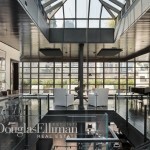 The 23,000-square-foot home was outfitted with a basketball court in the basement, a landscaped roof deck, and a crazy glass staircase. It hit the market in 2011, asking $45 million, and when a buyer never turned up it hit the rental market, asking $100,000 a month. It eventually sold in 2013 for $43 million, according to public records. The owner then converted the mansion into four rental apartments asking between $12,500 and $85,000 a month. Are you keeping track? 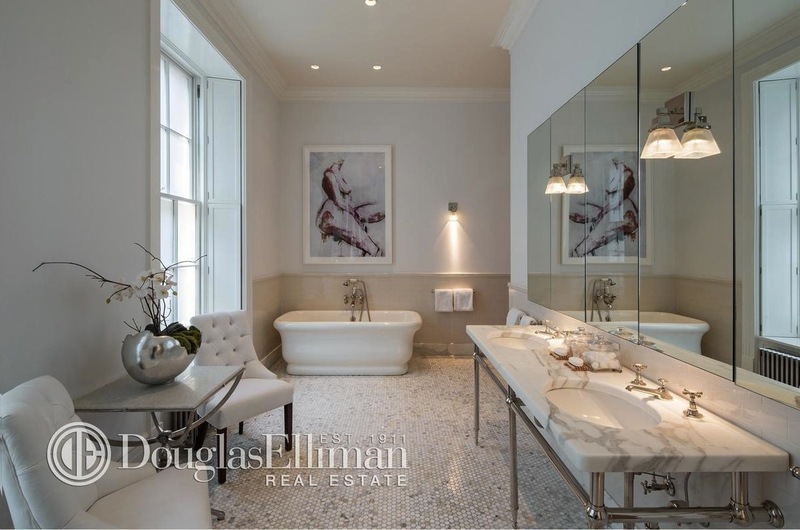 This unit, a triplex penthouse, is the one asking $85,000, and it’s just as insane as you’d expect it to be, with a massive 10,829-square-foot footprint, five bedrooms, and a crystal-like glass topper. 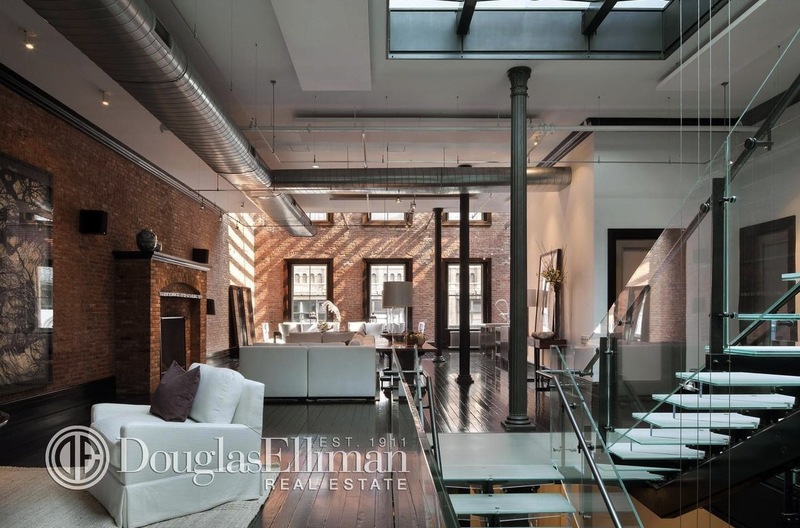 The interior still has many loft-like qualities, like the original cast iron columns, wide-plank wood floors, and exposed brick walls. 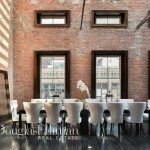 Massive windows are paired with ceiling heights that range from 12 to 24 feet. 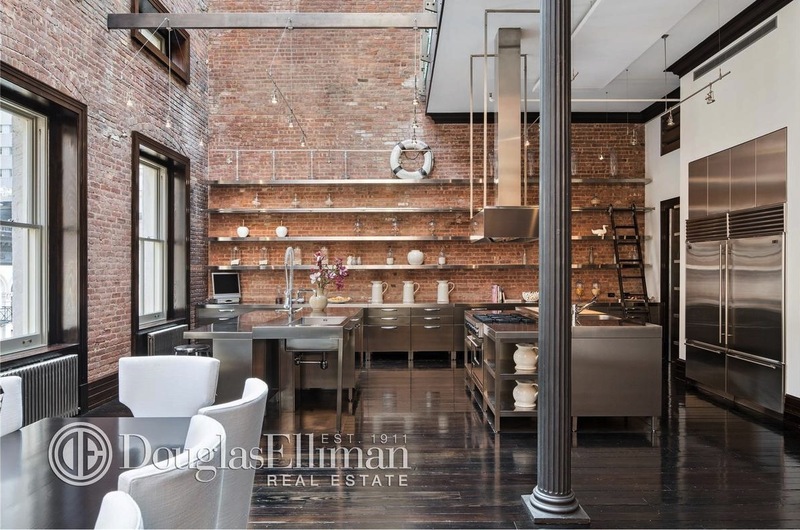 The kitchen has a very industrial look, thanks to an impressive amount of stainless steel on the countertops, islands, and sleek open shelving. 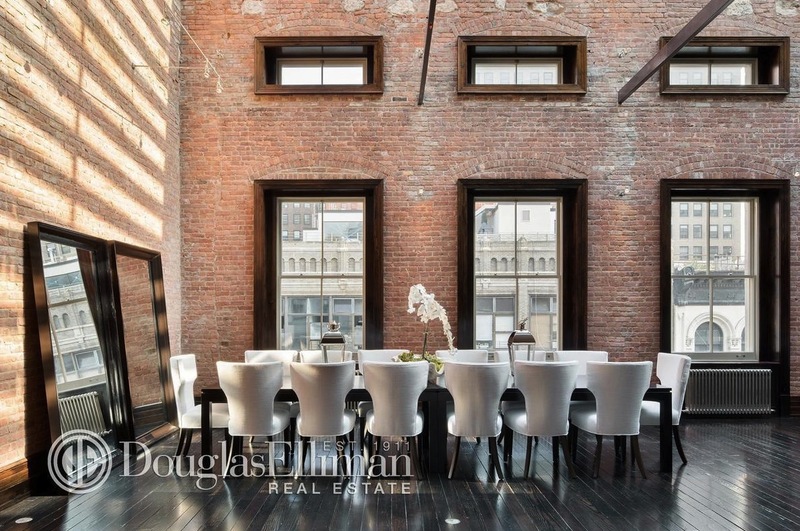 The dining room is especially striking, with double-height ceilings, windows on top of windows, and full walls of exposed brick. If you weren’t impressed by the lower floors, you will be impressed with the top floor of the penthouse. 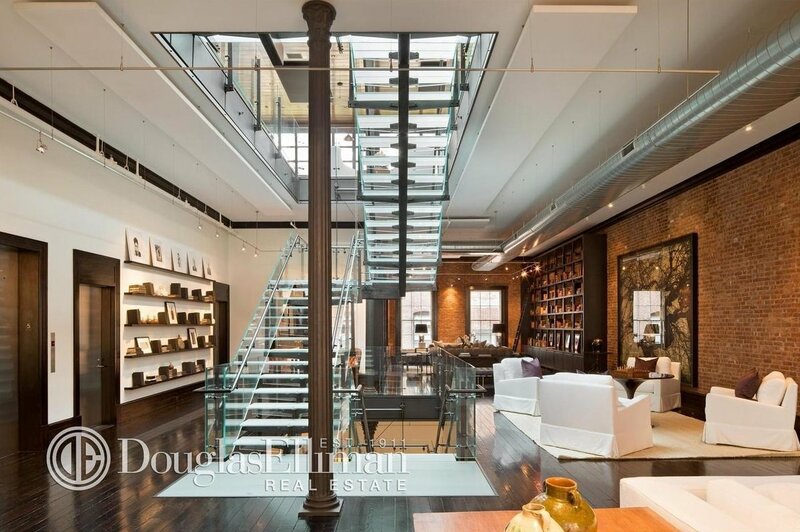 The glass staircase leads you up to a full wall of windows and a huge, peaked skylight. 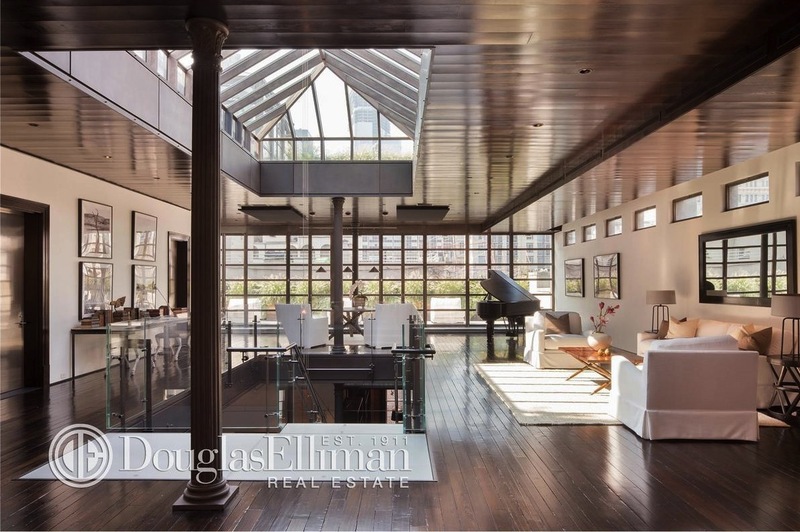 As the listing notes, all these windows mean that “all areas are flooded with superb light.” This “full-floor entertainment space” is decidedly more modern than the rest of the apartment, with dark wood ceilings that match the hardwood floor. 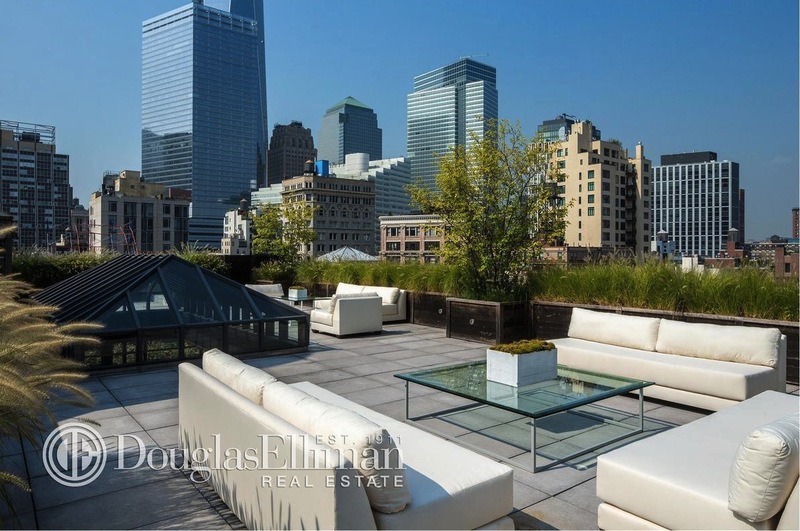 Of course, there’s an amazing, gigantic roof deck with 360-degree views of the city. We count space for at least six couches, as well as landscaping. The master bedroom also has a modern look, and has a steam-shower room and sauna. 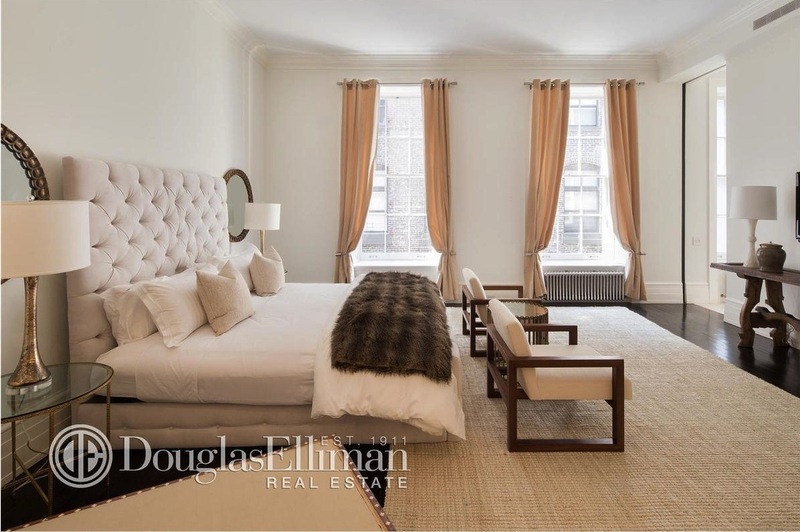 The listing says that all bedrooms come with big closets — not a big surprise, since everything in the apartment is grand in scale. That includes, of course, the $85,000 price tag. And if you’re wondering about the basketball court in the basement, the listing doesn’t mention if any of the four units have access to it. That really would have been the icing on the cake!